The existing Victorian warehouse needed extensive repairs and upgrading and the owner/occupier client wished to demolish and rebuild with residential units above. The 5 storey mixed use building provides retail, offices and a warehouse space on the ground floor with the upper floors of residential providing 21 units. 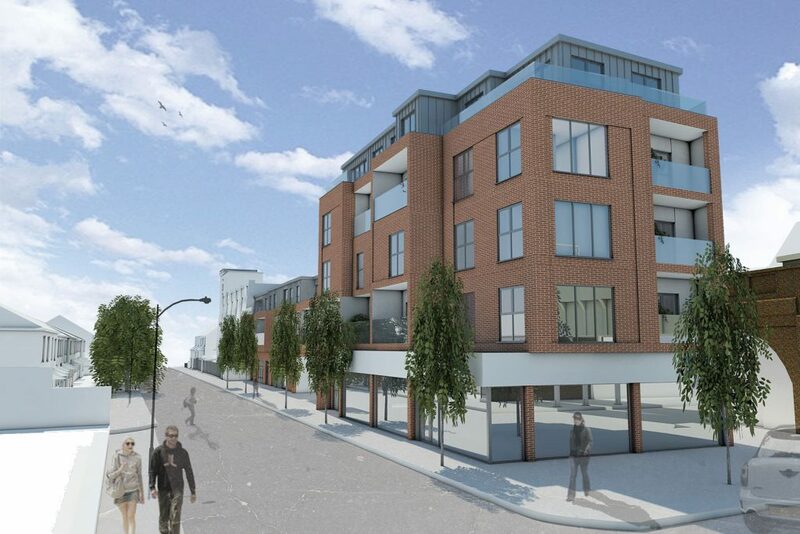 This difficult site adjacent to the railway viaduct and busy road had required us to overcome a number of Planning constraints including noise and vibration, daylight and sunlight, air quality and outlook of future occupiers, the clever use of split duplex units will provide dual aspect for all units. 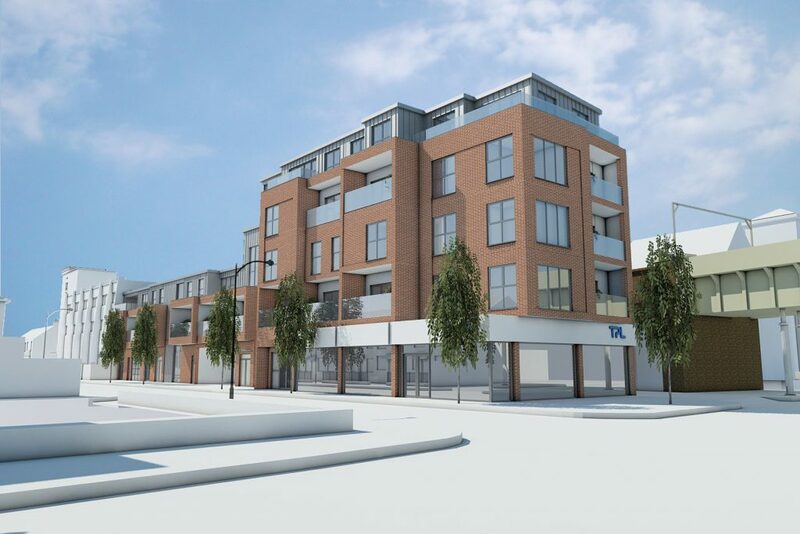 The development will form part of the Bakers Arms street scene improvements programme and will provide a landmark building for Lea Bridge Road.